School’s almost over for the year which means that your kids will need a solution to age-old complaint of “I’m booooored!” Our Free App of the Day is tried-and-true hit that’s free for a limited time – so catch Angry Birds Space while you still can! 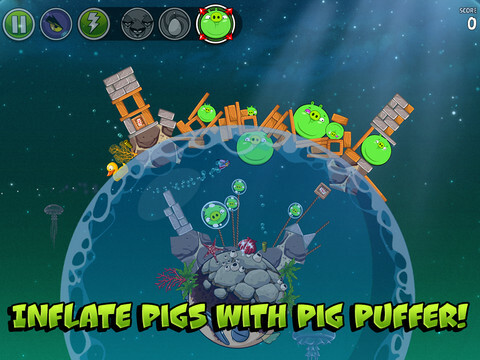 Angry Birds Space features over 160 interstellar levels on planets and in zero gravity, resulting in spectacular gameplay ranging from slow-motion puzzles to lightspeed destruction. With regular free updates, new in-app purchases, brand new birds, brand new superpowers, and a whole galaxy to explore, the sky is no longer the limit! • Over 160 interstellar levels!